Its generally at this time of year that I remember about Facebook. During the normal course of my life I am happy to say that I can stay away from Facebook for large periods of time. 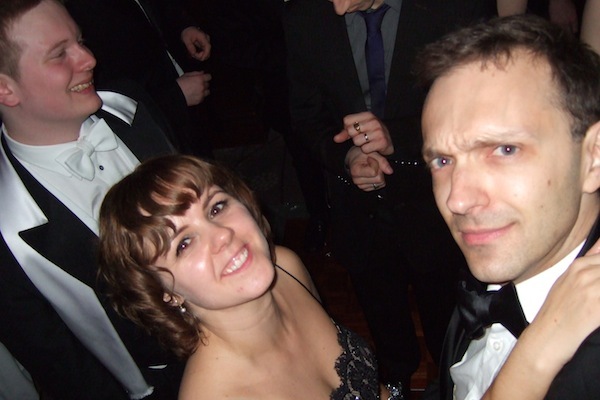 However around Easter is traditionally when the Chaos Ball is, that is the Cardiff Uni, School of Physics annual ball. 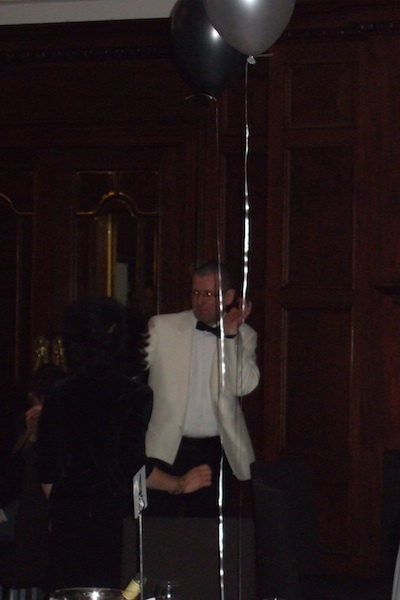 Each year the ball is organized for the students and by the students, in a very democratic way. This year the highly efficient Natasha and her team of minions delivered a spectacular affair. I'm also amazed she didn't have an accident with her dress during the ball. 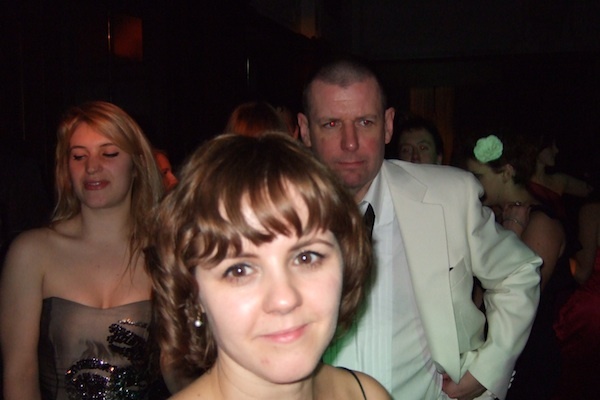 I must say that it is rather fun going to the ball as a member of staff, having gone as a student. When I was a student there was almost no mingling between the year groups. In fact there was very little mingling between our year group, it was very much like school in a lot of respects. 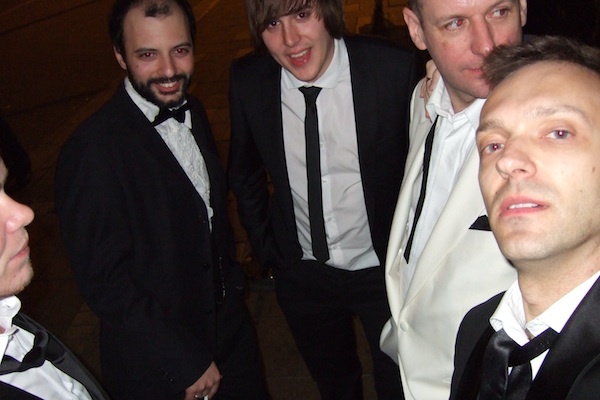 This year I really had not been keen on going to the ball. I could not put my finger on it. I had had a cold the week before and was generally feeling grotty and tired. I thought we would stay until the last dance and that would be it, in bed with a mug of cocoa by midnight. We had arranged to share a taxi home with Peter who lives down the road, and we had all agreed (very sensibly) that we were far too old and crusty to be going on to a club after the week we had just had. Set in stone. No going back. Not even a hesitation. At 3.30am I had to be dragged off the dance floor and shoved into a taxi before I made more inappropriate comments to students and their friends. I believe I may have started at least one malicious rumour during the night and I lost my camera (the latter turned up in the possession of a student, who had taken blurry pictures of semi-naked men). One student admitted to having stalked me on Facebook, I may have told another student that she was annoying (but in a good way) and said other things that may not of been wholy appreciated. It was like The Hangover, only without marrying a prostitute and taking rohypnol. I think Haley may have stolen a tiger. I was very glad to have mustered the energy to push through like a little soldier. 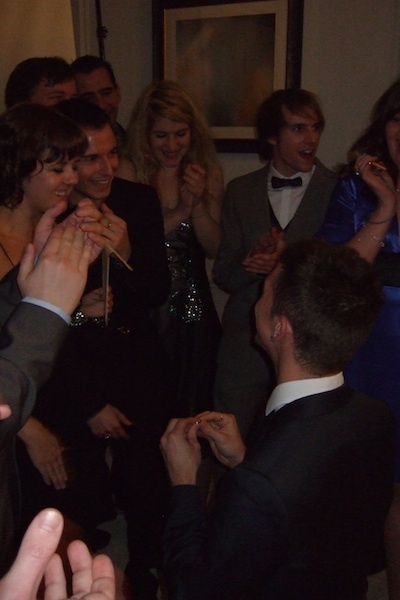 I am also very glad to have been there when one of our students was proposed to by his long-term partner. It was a very joyous occasion and very brave of them too, being able to feel comfortable to come out to all their peers and lecturers in such a public way. It was very sweet. The mandatory pictures....I have no defense, but I was very drunk at the time. I was quite surprised how well Peter could dance. He could have been in Pan's People, if he wore lycra and had big hair.